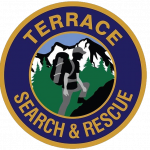 The British Columbia Search and Rescue Association (BCSARA) represents and supports the 80 search and rescue groups, their 2,500 members located throughout the province, and the agencies our members provide the service on behalf of. Recently there have been comments made in the media that the current search and rescue model is not sustainable, along with opinions on what is required to meet the growing demand. The Board of the BCSARA would like to take this opportunity to provide some context on this issue, and information on actions BCSARA has been working on for a number of years to reduce these issues. A large scale evaluation of SAR needs, including funding, was conducted in 1996 and again in 2004. Both evaluations resulted in major improvements in the service. 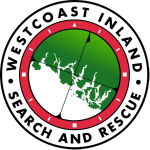 More recently BCSARA conducted a extensive 2 year consultation process titled ‘Leveling the Playing Field’ where all search and rescue groups and agencies were invited to regional workshops to discuss issues and identify solutions. The input from these sessions has resulted in a number of initiatives and a detailed Action Plan has been implemented. One of the biggest challenges identified is the need for adequate funding to match the growing need for training, required equipment, and operating costs as well as improvements which reduce the administrative demands on volunteers and finally to support prevention activities to reduce the number and severity of incidents. 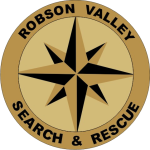 BCSARA has used the consultations with its members to develop a proposed Alternative Funding Model for Search and Rescue in British Columbia’, which will be presented to the Provincial Government shortly. 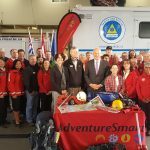 The current Search and Rescue service in British Columbia is efficient and effective, largely due to the commitment of the volunteers. New technologies, growing demands, and the priority of safety of responders means the model must continue to evolve. 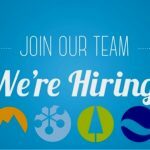 We believe that with proper funding, reduced administration for SAR groups, and other supports, improvements within our current program model can continue. 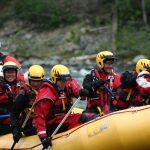 The scale and scope of search and rescue in British Columbia is much different than in other Provinces, with over 1,300 incidents which is more than the rest of Canada combined. Hence, challenges are larger requiring everyone to work together to find and implement solutions. The first step in any meaningful dialogue on improving the SAR service in BC is to conduct evidence based research, enter into discussions on the issues with our partners and then prepare a proper business plan for government to consider. That is what BCSARA has been doing for the past 2 years. We will be moving forward with our completed plan in the very near future. Jeff, I’ve emailed you a link. While recommendations to government are valuable, it would seem that vocal advocacy for the needs of teams also needs to be part of the game plan. NSR has continually shown that being the squeaky wheel gets them results and I’d like to have a better understanding of the tangible benefits offered by BCSARA’s current approach. Thanks. * and of course a great new webpage and social media presence to improve communications internally and externally. Thanks Colin. Understand the recommendations and see you’ve listed some achievements that could be considered beneficial while others might be considered works in progress. My question was really focused on substantial issues, such as SAR funding – a new website and few radios for each team are nice but I feel BCSARA should really be working on more meaningful and important objectives. The association seems to be somewhat absent from the discussion and as noted below a single team has done a far superior job of getting their message out. Like it or not, NSR has become the voice of all SAR teams in the public sphere. Thus I’m trying to better understand the value (cost/benefit) of BCSARA. Perhaps I’ll have to wait and see how current events unfold. The last two years we have been working on the “Leveling the Playing Field” NIF project that saw us reaching out to all the SAR Groups and stakeholders in the Province to gather evidence based research of what our membership wants from us. The final report has spawned an Action Plan that will be presented to Government soon. Additionally, our latest NIF grant is based on work to be done based on the previous project. While the perception may perhaps be that we are not doing anything because of a lack of media coverage, we have been very active in preparing our proposal via Government. NSR’s approach to the media has a lot to do with their proximity to Vancouver, and their success using this approach is not sustainable for other groups. The splashy claims of “the system is broken” attract attention and engage the media, but they just aren’t true. So why would BCSARA adopt this approach? 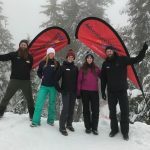 The flip side of the question is this; what changes to the BC SAR system can’t be traced to the activities of the teams working together to solve problems? 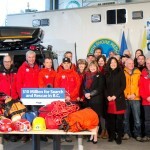 I’d like to think as the association representing all SAR teams that BCSARA could do a better job of communicating their message and I don’t see how this would be ‘unsustainable’ for such a group. Whether the system is broken or not is debatable. Certainly the funding model needs improvement and choosing not to engage in dialogue seems somewhat short sighted. 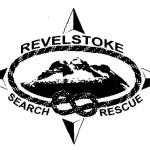 Watching and reading the news it would be easy to believe that NSR is SAR in BC and that the NSR spokesman speaks for all SAR groups and SAR volunteers in BC. This from a SAR group with 40 members that operates in a tiny piece of the province. Interesting. Well said, like it or not, NSR has mastered the media and understands full well how to apply public and political pressure to achieve their goals. Would really like to see BCSARA step up on this front because right now the association isn’t doing the rest of the teams any favours. Media and politics aren’t all that fun but in this day and age, a press release just doesn’t cut it. Adam, I don’t think you realize that BCSARA has been trying to get into the media. They interviewed Don and declined to use the footage. They interviewed me for 15 minutes and used 10 seconds (I’m not even on the board). The goal of the media is not to provide information to the public, it’s to sell a product. They always go for the more interesting footage. The slow, steady work to effect real change is not as interesting as a high profile cry for money, LOTS more money, and no oversight, without any examination or analysis. It would certainly be nice if everyone would throw their weight behind the agency that’s doing all the work, instead of promoting a different agenda. 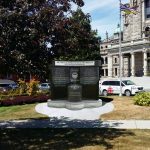 Whether you or BCSARA likes it or not, we live in a world where media impacts public perception and in turn political will – I know you get this because you’ve made your own efforts to get air time. BCSARA’s inability to effect a successful media strategy is the problem I’m not so ‘secretly’ hinting at. Pointing out that the media won’t use ‘our’ footage is a pretty clear indicator that BCSARA should invest a little more time their media strategy or find a personality who can command the needed attention. Sensational or not, NSR is driving the bus right now. Further it would be nice if one organization could unify all teams behind common work. I agree 100%. Clearly BCSARA isn’t getting this done; as evidenced by NSR and other less vocal teams and volunteers who have grown weary of reports/recommendations and a lack of clear leadership on tough issues (like Occupational Health and Safety). Given this latest upset, it might serve BCSARA well to take a moment and evaluate what they’re doing – perhaps some things need to change to bring everyone back together. Agree or disagree, it’s just a thought I wanted to share. Adam, very well stated comment. I would not agree that there is a lack of leadership as I don’t see any groups working against the system other than one, and I suspect the motive isn’t due to frustration. I agree that a better media presence is something that should be worked on. However, even the partial list of activities BCSARA is working on, and the fact that these duties are on top of the time these people contribute to ACTUALLY RESCUING PEOPLE leave me impressed rather than disappointed. Seems someone (or a glitch) has cut off comments on this thread so consider this a reply to Michael’s post of 14:36. I agree that most groups aren’t working against BCSARA but indifference is just as dangerous and I hear lots of chatter about frustrations. As you’ve rightly noted, this shouldn’t be confused with a lack of respect for the effort and investment by those who choose to give their time to the organization. Perhaps this too is something that needs to be explored. Should SAR be looking for ways to make it easier for these volunteers to sacrifice time with family, friends and their professional lives. Not saying yes, but proposing these are things that we should be discussing, debating and putting into action as a group. Actually, I was being sarcastic. It takes a special level of arrogance for NSR to think they represent anyone other than NSR. Sorry Dale. Didn’t mean to misconstrue your comment. Sarcastic or not, it would seem this is happening regardless of how much others may agree/disagree and based on much of the press that I’m seeing (in Vancouver anyways) they are being successful at influencing public opinion. 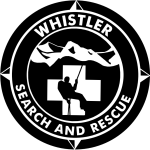 I also seem to remember that BC has the only all volunteer Critical Incident Stress Management (CISM) response team for SAR in Canada (or the world?) which should be a point of pride. 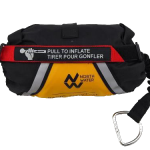 This was developed to respond to SAR members feeling the stress of responding to some of the sometimes disturbing SAR calls. Thanks Mike, I knew I would forget something. 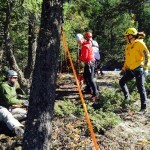 Yes we have the only SAR specific peer support based CISM program in Canada. I do not think it is very helpful to SAR in BC as a whole for one member of 2,500 to use social and other media to imply the SAR system is at breaking point; I for one do not think it is. If this does ever become the case then we have an elected body in BCSARA who should be responsible for sending out this message. I would suspect recent comments have distracted and disrupted BCSARA from their normal business of supporting all 80+ groups in BC which at the least is probably frustrating but more importantly probably hampering their efforts to move SAR in BC forward. 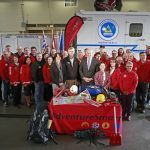 Every SAR group has a voice in who is elected to the BCSARA board and while none of us will ever agree with every decision the BCSARA board make, after all you cannot please all the people all of the time, we have to trust that they have SAR in BC’s best interests at heart and are striving to address any and all issues. 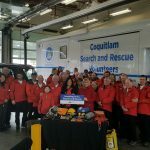 Again I for one believe this is the case as after all they are SAR volunteers themselves as well as volunteers on the BCSARA board which is a commitment I thank them for. Please, if we think things can be improved then follow the proper channels; as a SAR manager like the individual who started all this we are trained to see the big picture. Perhaps there is a localised issue, I am on the other side of the province so am in no position to comment to that, but deal with it locally and let BCSARA deal with the big picture. By the way, I am not on or involved with BCSARA but also just one of the 2,500 volunteers.